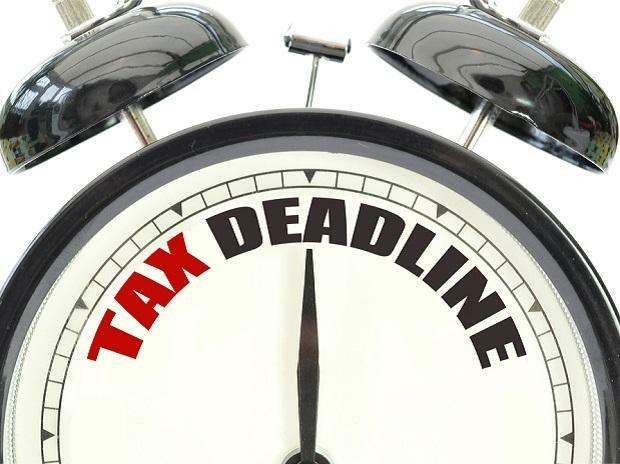 If you are yet to file your income tax returns for the financial year 2017-2018, you still have few hours left as the deadline ends on March 31. If you fail to file your tax return, the government reserves the right to take legal action against you. Though the last date for filing Income tax ended on August 31, 2018, the I-T department later allowed people to file their income tax returns till March 31, 2019, provided they also submit a late fee of Rs 10,000. "Taxpayers can still file their Income Tax Return for the assessment year 2018-19 (the financial year 2017-18) by March 31, 2019, with a late fee," the I-T department wrote on Twitter. Despite being a Sunday, income tax offices are open today to facilitate the filing of tax returns by the taxpayers. Taxpayers can use the I-T department's online portal to file their returns from the comfort of their home. 2. 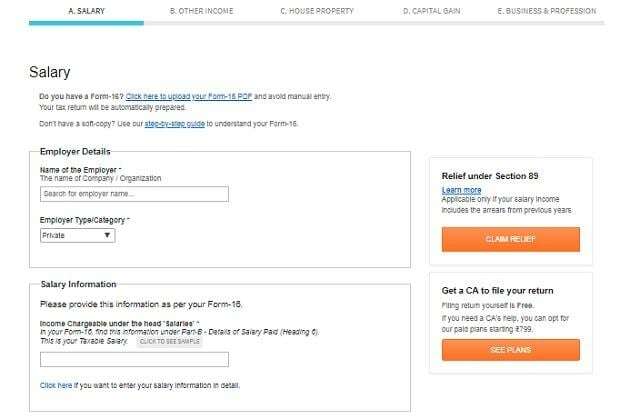 Form 16/16A: These forms will help you provide proof of tax deduction on the payments you have made. 3. 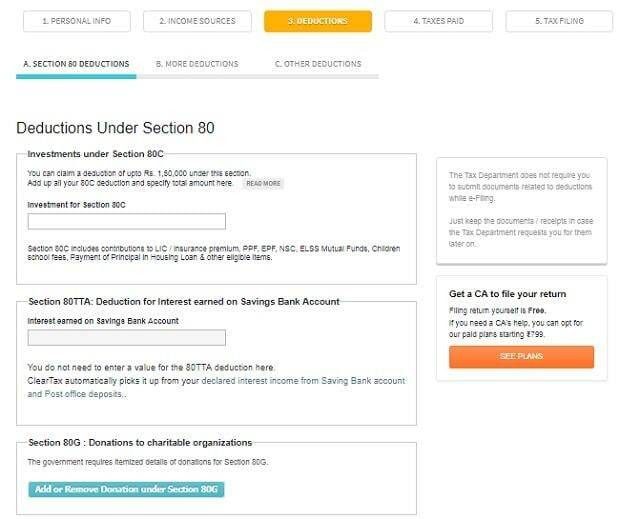 Investment proof: Proof of tax-saving investments made, medical cover taken, donations made, etc, are all required for helping you claim deductions under Section 80C, 80D and 80G respectively. 4. 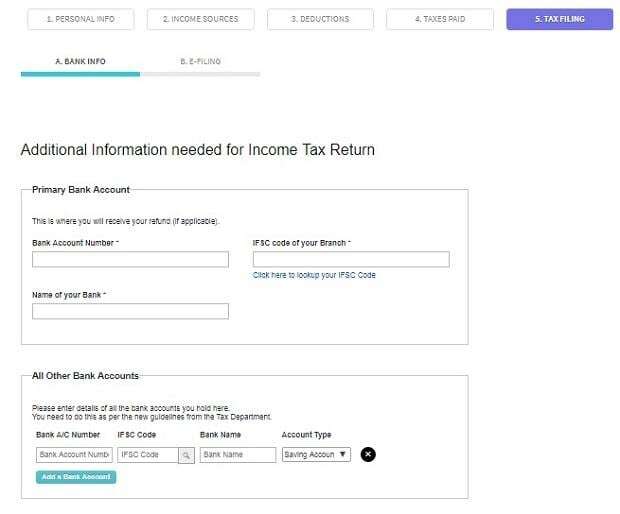 Bank details: Even if you know that you don’t have a refund this year, you should provide all your bank account details along with the IFSC code in your income-tax return. Is it mandatory to file I-T return? Step 2: Users not registered on the website need to register on the website. Those already having an account can login. 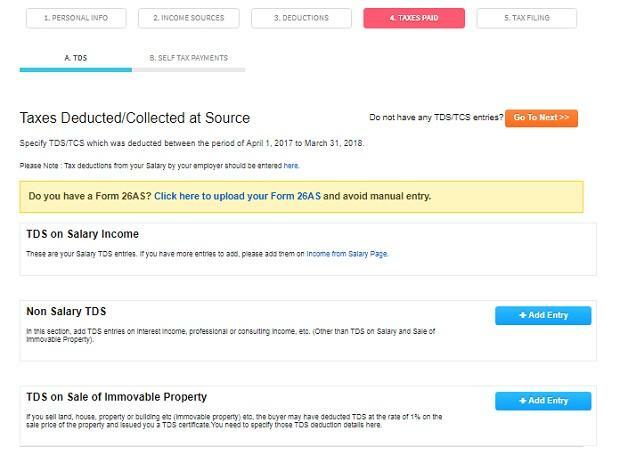 Provide details of your TDS (tax deducted at source) between April 1, 2017 and March 31, 2018. 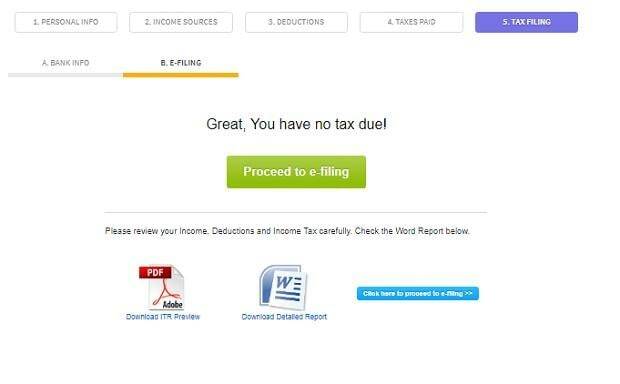 This is the last step of filing your income tax return. 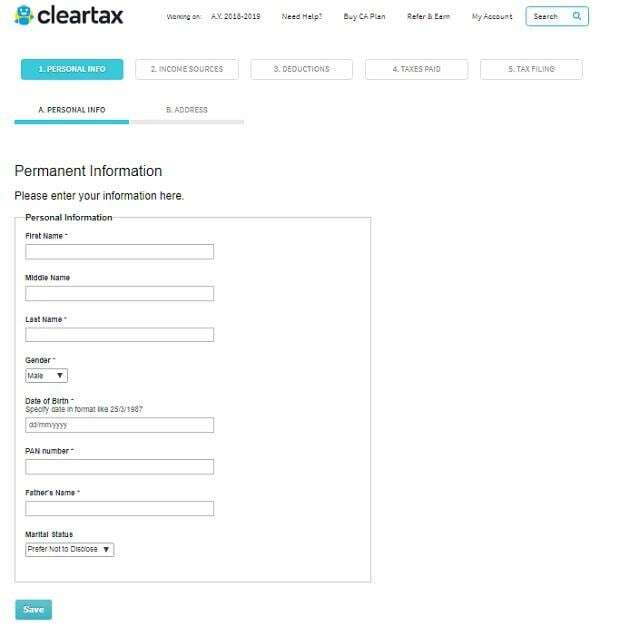 Provide your bank account number — this is where you will receive your refund, if applicable.